With its beginnings rooted back to 1928, Trevarrow, Inc. has evolved into one of the leading distributors of the finest kitchen and laundry appliances, and plumbing fixtures. Our longevity is attributed to the value we place in everything we do from the superior product lines we represent to the way we service them. 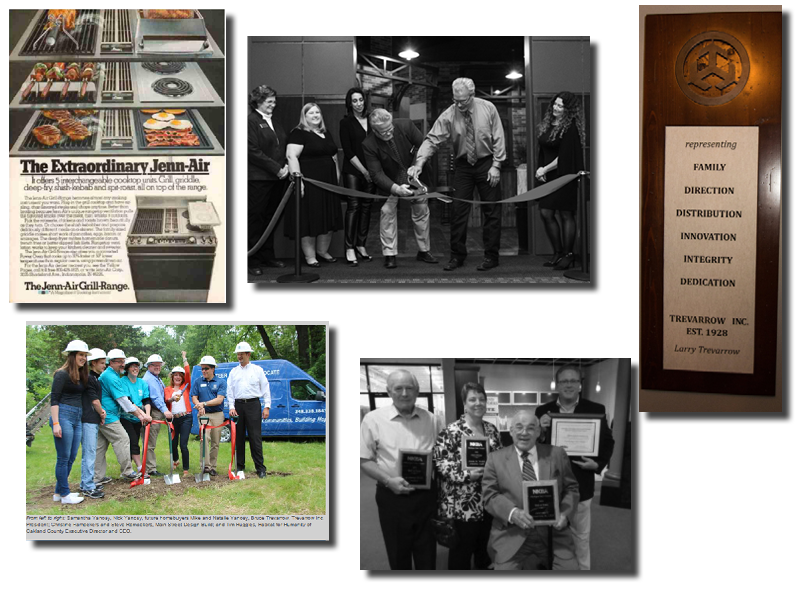 Still family-owned, Trevarrow, Inc. has stood the test of time with excellence in product knowledge, customer care and business ethics. 1928 – Trevarrow, Inc. founded as a construction contracting company by Laurence Trevarrow, Sr.
2006 – Cleveland Showroom moved to newly remodeled facility with 6 full kitchens including 3 live kitchens and an auditorium.